Can I Sue After a Nevada Hit & Run Accident? Imagine you’re driving down the road when the unthinkable happens: you’re struck by an oncoming vehicle. In the panic of the moment, you watch as the driver who hit you speeds away, leaving you to deal with your injuries and a damaged vehicle all by yourself. What can be done in this situation? Without the name, contact information, or insurance information of the other driver, who will pay for your medical treatment and vehicle repair costs? Are you stuck unfairly paying for everything because of another person’s recklessness? By law, drivers who are involved in a collision are required to pull over and exchange information. Unfortunately, hit and run accidents are not uncommon, especially on the crowded streets of Las Vegas. A driver may flee the scene for a number of reasons: he or she may be intoxicated, uninsured, or fearful of arrest because they know they have done something to break the law. Fleeing the scene of an accident makes the at-fault driver susceptible to both civil and criminal liability. In fact, according to NRS 484E.010, it is a felony to leave the scene of a crash that results in death or bodily injury. However, even if the at-fault driver is caught and convicted, this still does not guarantee that the victim will receive adequate compensation. This is where an experienced car accident attorney can help. If you have been involved in a hit and run accident as a driver, bicyclist, pedestrian, or motorcyclist, it is essential that you contact an experienced Las Vegas car accident attorney who can help you obtain compensation. If the driver is identified, you may be able to file a personal injury claim in court. Even if the driver is never caught, there is still hope. 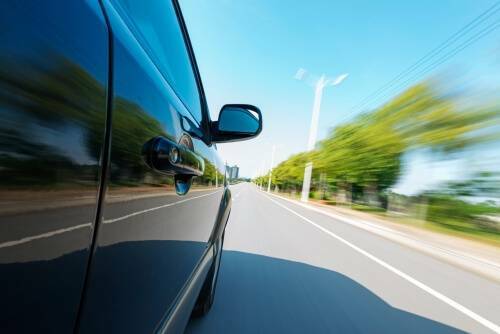 You may still be able to obtain compensation through your own Uninsured Motorist (UM) coverage. Because each case is different, consult with a member of our team about which options are available to you. At Shook & Stone, we have handled countless car accident cases and have recovered millions of dollars in compensation on behalf of our clients. We have a history of success protecting the rights of hit and run victims and their families. If you have been hurt in a hit and run accident, we are prepared to fight for the adequate compensation you deserve. Call Shook & Stone today to schedule a free consultation with a Las Vegas car accident lawyer.